Congratulations, (Chronyx)! 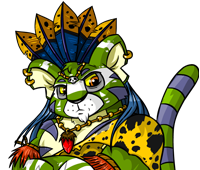 You've been voted Neopia's Best Dressed Neopet! In addition to saluting all the other finalists of Neopia's Style Showdown, sincere thanks must go to everyone whose participation helped to make this such an outstanding event. Thanks so much!